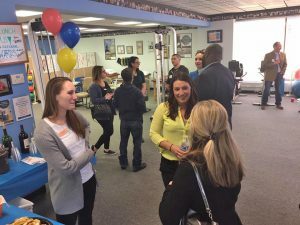 From Fort Washington to Valley Forge, Conshohocken to Collegeville, our chamber is over 100 years old and more than 400 members strong. We represent businesses in over 75 zip codes in Montgomery County. • Expand your business footprint. Although our membership serves hundreds, our message is circulated to thousands who subscribe to our e-news, follow our social media links, and visit our website. • Being a supporter elevates your prestige, credibility, and loyalty to the community. It will also likely increase your ROI. It is proven that chamber members like to do business with other chamber members and supporters. 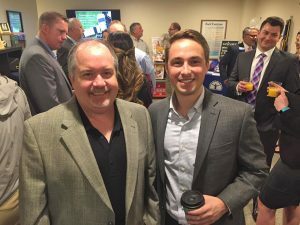 • Being a supporter often has perks like attending our events, meeting like-minded business people, and creating a new network of clients. • Taking advantage of our bundled packages, is cost effective and also helps resonates your product/ service over a sustained period of time. • Specifically choosing a sponsorship that includes digital advertising (e-news and website banner) helps you reach a daily/ weekly audience. • We offer 100 events annually. It is our desire to help you chose the right outlets to help you maximize your sponsorships. Sponsorships can be ala carte or bundled into discounted packages. 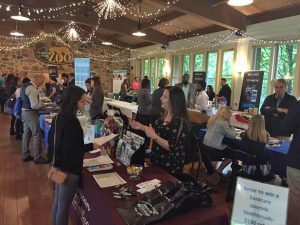 Business-style event at the Elmwood Park Zoo in Norristown. Enjoy 18 rounds of golf plus a casual business networking luncheon.